Parking in big cities is a drag. Finding a space; competing for it with other drivers; driving around in circles; tracking down signs and machines; decoding the rules. It makes your shoulders tighten just thinking about it. Mark Fields, then-Ford CEO, commissioned an experimental project where ustwo and Ford would try to make parking a positive experience for everyone and ultimately start to plot a future for Ford where they are developing additional services outside of the vehicles. Welcome to GoPark. 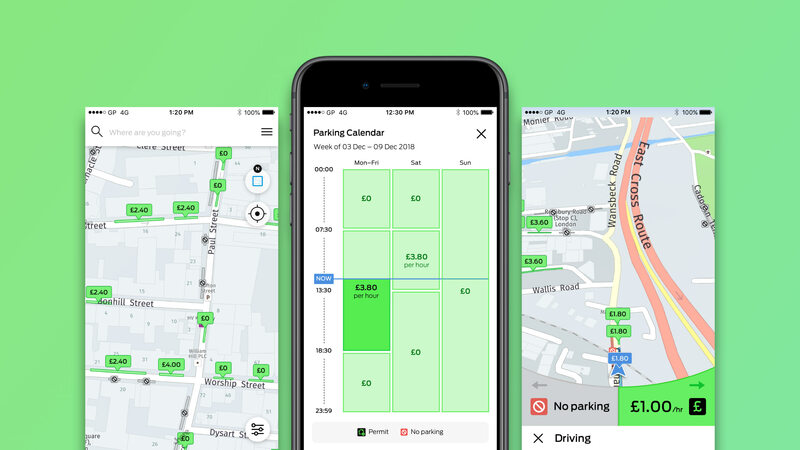 An app that takes the stress out of parking in central London. GoPark lets you pre-select a parking destination before you set off and helps you navigate to it. If the spaces are all taken, it shows you nearby alternatives as you arrive. GoPark also simply displays parking prices and durations, so it’s easy to grasp how long you can stay and whether parking is free and when the rules change. It also helps you better understand different boroughs’ various and complicated parking rules and connects you to third party payment providers. It’s been a two-year journey to get GoPark to where it is today. Arriving here meant helping Ford stakeholders transform their thinking to a more agile mindset – giving them the tools and techniques to solve problems from a service-design perspective. 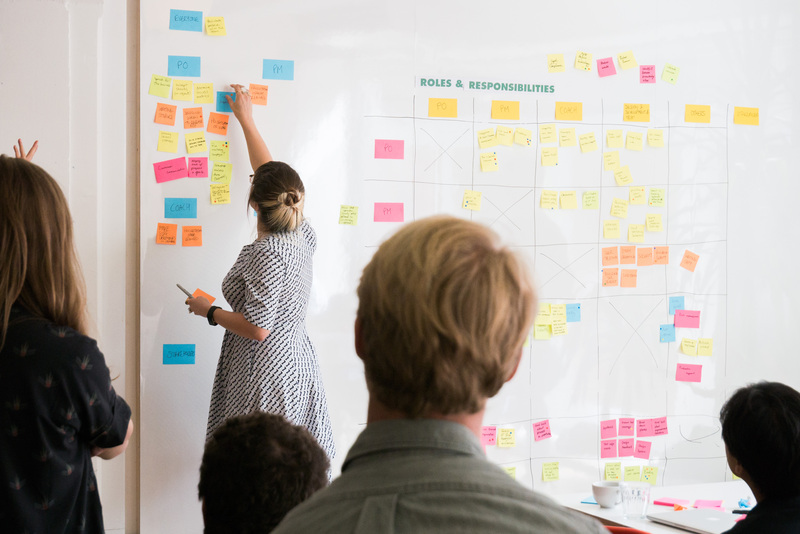 A big part of our initial response also involved helping Ford understand the roadmap of a start-up – as that was what we were effectively creating. So we mentored and developed the Ford team, helping them grow into the new roles and responsibilities they were encountering. What began as an experiment is now an iOS and Android app and digital service with around 4,500 users and 20% growth month-on-month. Having started in just one borough, GoPark now covers Camden, Hackney, Islington, City of London, Kensington and Chelsea, Southwark, and Westminster. Between Ford, ustwo and the relevant councils, GoPark is playing an important part in taking an archaic function of London and transforming the mindset, so everyone can enjoy smarter, less-stressful and more sustainable cities in the future.